What is a Rigger Technician? Live event technicians who are tasked with hanging or "rigging" equipment overhead in an event production, play, or live event venue. 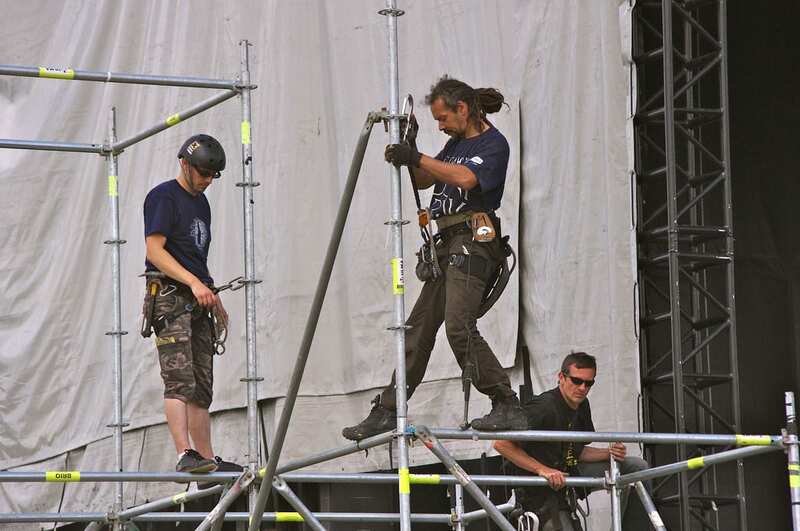 Additional Information: A rigger, or rigging tech, is usually hanging items high above the audience, stage or both, so their job is focused on safety. Riggers must be trained and certified to understand the structural properties of a venue and how to properly attach things.